The first pieces have been released for the 4th part in the Mad Max series. It’s not a direct sequel to 1985’s Mad Max Beyond Thunderdome. The image make it look like a take on Mad Max 2, aka The Road Warrior. Reading into the film a bit more, it does seem to be closer to episode 1.5 than 4. Set between the first two films. Covering the period between the death of Max’s family and meeting Lord Humungus and the rest of his gang. The film had been languishing in “development hell” for about a quarter of a century until it finally got the go-ahead in 2012. Good news for Max fans. With a release date just under 30 years after the last film hit the screen. I, for one, is excited but also worried that they will ruin it. The first is the first poster. Released to tie in with Comic Con. The second is 8 images. Making the film look more and more like it happening just before the second film. 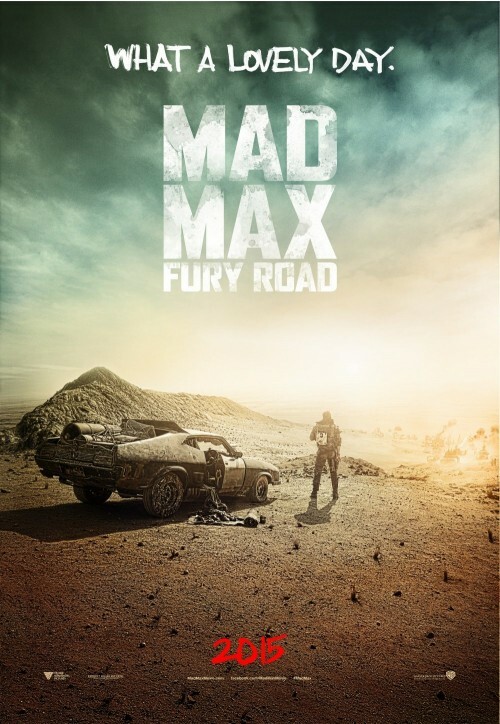 Oscar-winning filmmaker George Miller’s “Mad Max: Fury Road” revisits his own post-apocalyptic trilogy featuring the anti-hero known as Mad Max. I have discovered the below, that seems to be the film’s synopsis but I would take it with a pince of salt until I get an official one. A apocalyptic story set in the furthest reaches of our planet, in a stark desert landscape where humanity is broken, and most everyone is crazed fighting for the necessities of life. Within this world exist two rebels on the run who just might be able to restore order. There’s Max, a man of action and a man of few words, who seeks peace of mind following the loss of his wife and child in the aftermath of the chaos. And Furiosa, a woman of action and a woman who believes her path to survival may be achieved if she can make it across the desert back to her childhood homeland.